Old IFÖ Flush Valve The old IFÖ flush valve is fully interchangeable with EvacInclick Retrofit Kits. To chose the most suitable model for your needs please see below or here. Flush control unit suitable for IFÖ wall and floor mounted toilets with porcelain-mounted flush knob and also for toilets with no equipment space in service unit. Flush control unit suitable for IFÖ wall toilets with flush knob on the wall and wall mounted toilets which are to be upgraded with a wall-mounted flush knob. 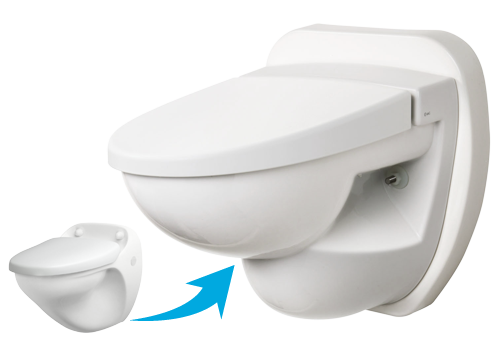 Flush control unit suitable for IFÖ wall toilets that have service trunk access with porcelain-mounted flush knob. EvacInshine® complete vacuum toilet is a suitable upgrade product for replacing IFÖ toilet. It improves the appearance and hygiene of the toilet. EvacInshine® vacuum toilet is quick and easy to install. Evac toilet flushing efficiency is well known but sometimes it is a bit noisy. Noise cannot be completely omitted but with the EvacInflux Silent Valve it can be reduced 4-6 dB(A) into a very pleasant level. 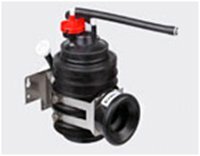 EvacInflux Silent Valve and Kit are fully interchangeable with the existing toilet components. The silent valve reduces the noise but also guarantees years of maintenance free operation (includes mini-check valve and outlet pipe). Now the Prestige seat is also available with soft close. The soft close function allows the seat always closes quietly. 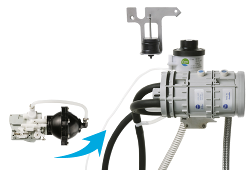 For a "touch free" and more hygienic installation Autoflush Unit is now available as an upgrading kit.